Update March 17, 2015: Below is a list of requirements to qualify as a nominee for the Fab Replication Grant. Keep in mind the list does not contain all of the requirements to successfully win a grant and more information will be requested. Must have a working prototype of the project, and preference is given to early-stage inventions. Project must include substantial physical components (not just circuit boards), and preference is given to a mix of mechanical parts and electronics. 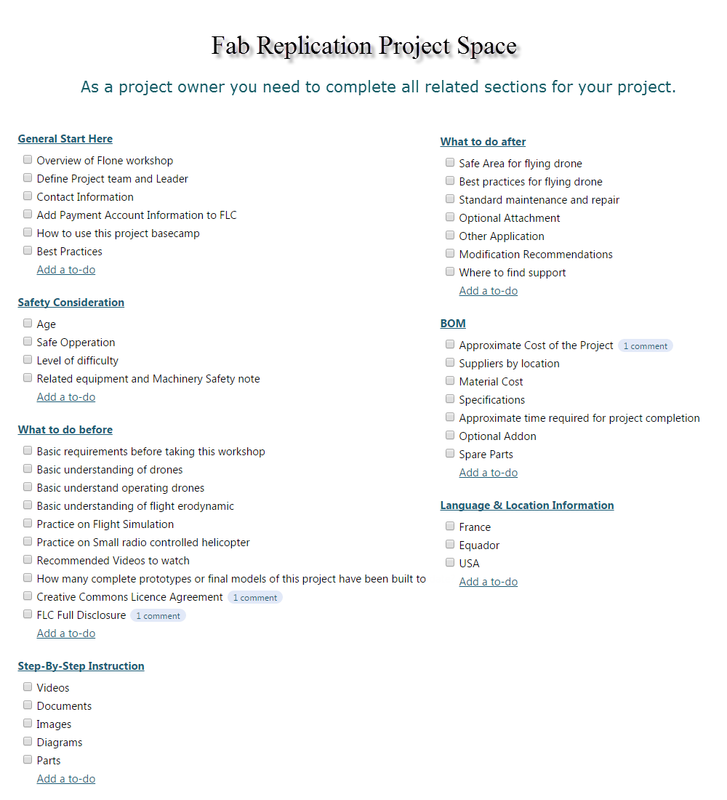 If selected, project owner must commit to provide full documentation of the project in our Fab Replication project space, as well as mentoring and support for replication through completion of the project. Project owner must provide estimated time to replicate the project? Example: Flone takes 3 weeks to make and online support will be 3 hours per week with a total of 9 hours per workshop. List of contact information for supplier of materials.